Check out this fall inspired recipe just in time for the holidays! 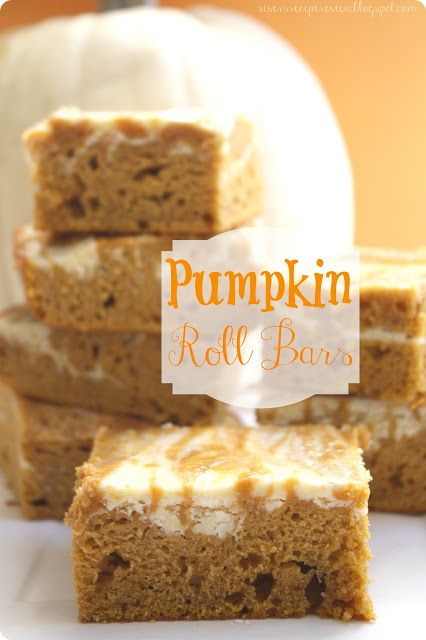 Try this Pumpkin Roll Bar recipe at http://therecipecritic.com/2012/10/pumpkin-roll-bars/ they taste exactly like a pumpkin roll but without all of the hard work! Easy and delicious! !